Citrus Catering & Events: The Foodie Blog: Midweek Eats…Barbecue! I’d love to say that my first meal back eating solid food after being sick(other than lime flavored popsicles) was a delish gourmet home cooked meal, but it wasn’t. 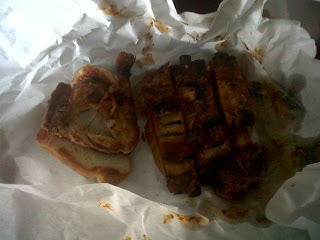 I was craving barbecue, so I ventured to Fat Matt's Rib Shack…. let the gluttony commence. I’ve been to Fat Matt’s a few times in the past, but it has been a little while since my last visit. When I walked in the door I was greeted with the alluring smell of delicious barbecue and a huge billboard like sign listing all the delicious things I should try. Remember how I loved the Collard Greens from Busy Bee’s? These are better. Sooooooo much better. I can’t even explain it, they had like a spicy sweetness and so tender like Grandma had been back in the kitchen cooking them all day. 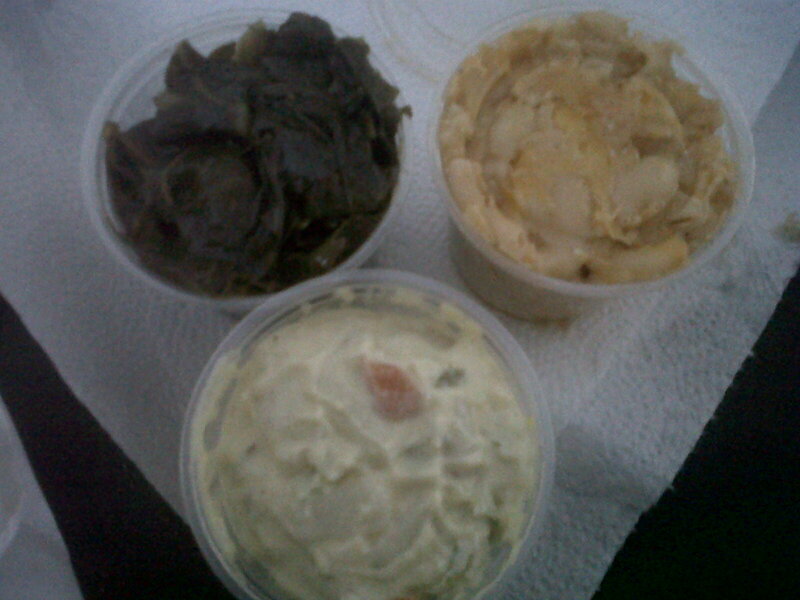 I could have done without the potato salad, and the Mac n’ Cheese was just ok. 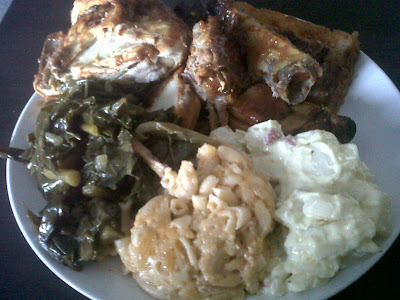 But Huunnaayy (in my southern elderly woman’s voice) Those Ribs and that Chicken! Seriously better than any other Barbecue that I have had in a really, really long time. The Ribs were so tender and succulent, the meat just fell right off the bone. Same with the chicken. I’m not a big fan of dark meat, but the leg and thigh quarter I had was juicy and delicious. It’s making me hungry thinking about it again. This was the perfect barbecue meal, it definitely hit my barbecue craving! If you haven’t been, get there ASAP and enjoy some yummy barbecue for yourselves! Hope you all have a yummy Hump Day! See you back here on Friday for “What’s for dinner??”. That place is absoluuuuuutely sinful. I never order anything other than ribs or chicken that extra sweet but oh soo good homemade lemonade (with the perfect ice) and may the greens. Your explanation is exactly why on any given weekend that line is out the door with people HAPPY to wait for a meal.